It's not just to keep her from getting cranky! Little bodies need slumber to grow and stay healthy. Her muscles, including the heart, repair themselves during sleep. 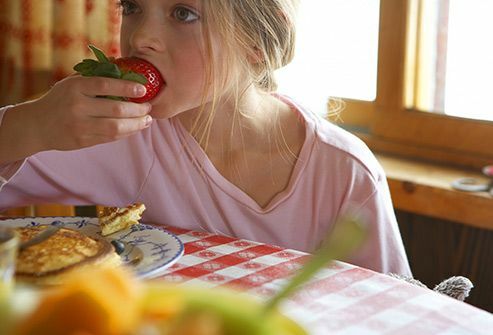 Sleep also controls the signals that tell your kid if she's hungry or full, which helps keep her at a good weight. While your kid's in dreamland, her brain stores memories from the day so she can recall them later. That's a key part of learning. Your child also needs sleep to help her pay attention in school. If she gets her shut-eye she'll get her work done faster and with fewer mistakes. Kids need more snooze-time than you do. Got a toddler? He should get 11 to 14 hours of total sleep in a day. Three- to 5-year-olds need a little less -- about 11 to 13 hours. If your child is 6 to 13, he should get 9 to 11 hours of ZZZs. Teens need 8 to 10 hours, but how much sleep they actually get is another story. Does My Child Need a Nap? 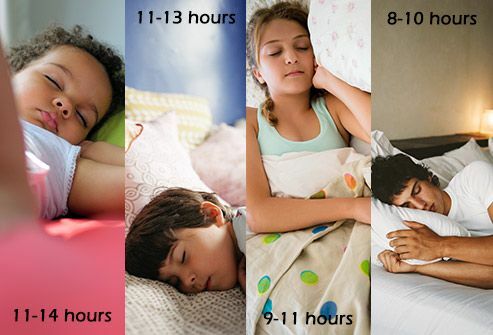 How much your kid snoozes during the day depends on how much she sleeps at night. Your toddler may get most of her 13 hours after the sun goes down, or she may get 8 after dark and make up the rest with naps. Most kids stop their daytime napping by age 5. If your child still does it at that age she might need an earlier bedtime. If your teen takes an afternoon siesta, it's a sure sign she's not getting enough sleep at night. How Do I Get My Kid to Bed? Bedtime doesn't have to be a battle! Stick to a routine, even on the weekends. It can include a soothing bath, brushing teeth, and going to the bathroom, but it should always end in the bedroom. Plan an enjoyable wind-down activity before sleep, such as reading by dim light. Make sure the bedroom is dark, cool, quiet, and screen-free. For problem sleepers, reserve the bed for shut-eye only -- no reading, homework, or playing games. Can My Teen Get to Sleep on Time? It's not "mission impossible," but let's face it, it's not easy either. Your teen's inner clock pushes her to go to bed late at night and sleep in the next morning. Dim the lights at night, whether she's ready for bed or not. Keep the bedroom cool. And though it sounds like a no-brainer, tell your teen to unplug -- turn off the TV, cell phone, and computer. On weekends, tell her not to sleep later than 2 hours past her weekday wake-up time. It's a controversial issue for schools and parents, and there's no easy solution. 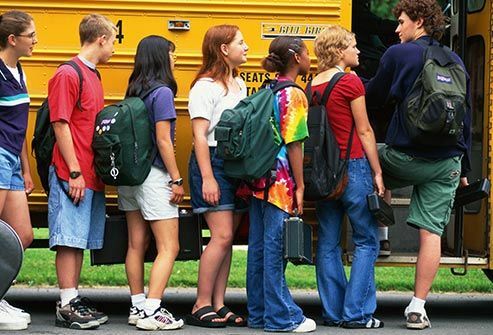 Many high school bells ring before 8 a.m. That makes it tough for teens to get enough sleep, since most don't hit the pillow before 11 p.m.
A later start time might give kids an academic boost. 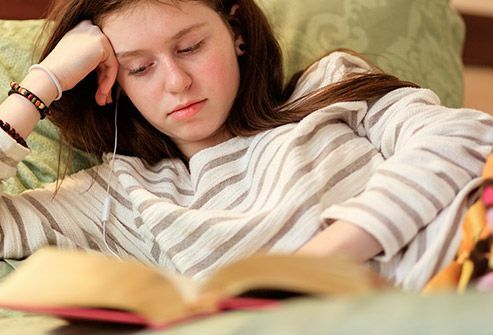 Studies show teens who get the slumber they need have better grades and higher standardized test scores. Does My Kid Sleep Enough? You'll know your child gets regular rest if he can nod off 15 to 30 minutes after he goes to to bed at night. In the mornings, he'll wake up easily when it's time to get up. You won't have to go back to his room over and over to make sure he's out of bed. More signs he probably gets enough sleep: He doesn't snooze in school and doesn't need naps. Could It Be a Sleep Disorder? Most of the time your kid's shut-eye woes are just part of growing up. But sometimes there's a medical condition that's behind the trouble. Watch for snoring, long pauses between breaths, or trouble breathing while he's asleep. He might need to be checked for sleep apnea. Sleepwalking, nightmares, or bed-wetting could also be signs of a sleep disorder. Check with your pediatrician to find out what you can do. Is It ADHD or Not Enough Sleep? Grown-ups and kids don't act the same when they miss out on sleep. 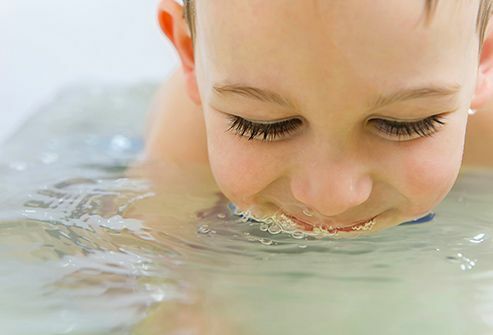 You may slow down, but your child could start bouncing off the walls. This behavior may make it look like he's got ADHD. Your pediatrician can help you figure out what's going on. If your child does have ADHD, studies show getting the right amount of sleep can help him pay better attention and act less hyper. National Heart, Lung and Blood Institute: "Why is sleep important?" National Sleep Foundation: "What happens when you sleep?" "How much sleep do babies and kids need?" 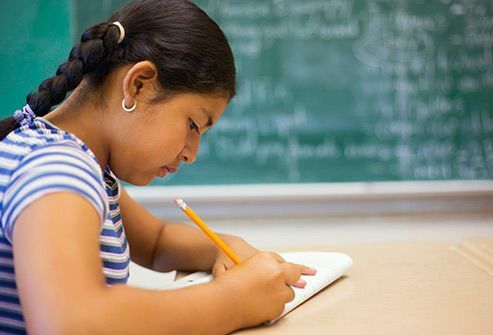 "Children and sleep," "Later school start times," "25 random facts about sleep," "School start time and sleep," "ADHD and sleep," "Teens and sleep." Harvard Medical School: "Sleep, learning and memory." Teens Health: "How much sleep do I need?" Cleveland Clinic: "Getting your child to go to bed and stay there." 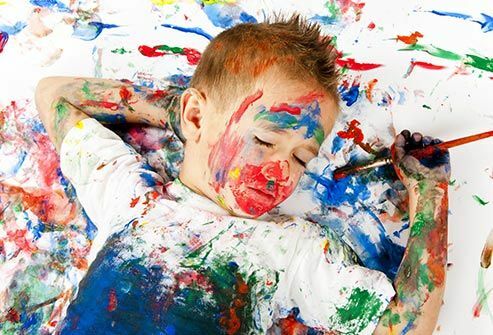 Boystown Pediatrics: "Why kids need sleep." American Academy of Pediatrics: "Let them sleep." University of Michigan Health System: "Sleep problems." Northshore University Health System: "Sleep disorder symptoms and signs." National Association of School Psychologists: "Sleep and Sleep Disorders in Children and Adolescents: Information for Parents and Educators."